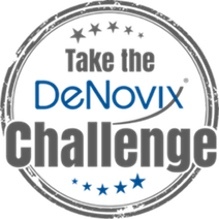 Take the DeNovix Challenge and decide for yourself! No PO or specific commitments are required. Simply complete the form on this page and we will initiate your evaluation. Please Note: CellDrop free trials will begin in April 2019. If you are interested in a free trial please submit a request below and we will put your name on the waiting list and contact you once a demo instrument becomes available. The trial period will be one week from the receipt of the instrument. During the trial, a DeNovix specialist will follow up to see if you have any questions about the applications or features of the instrument you are testing. Please test non-radioactive samples only. After 1 week, please decontaminate and ship the instrument back using the supplied shipping label. The DeNovix Inc. Free Trial Program is available to US customers. Elsewhere our local distributors will arrange a demonstration at your facility. To request a Free Trial, please complete the form below. We will process your request as soon as possible and send you a confirming email. Please note, the address below must be your shipping address.